Last year in San Francisco, I had two bracelets made with their names on them. I plan to remove them today. 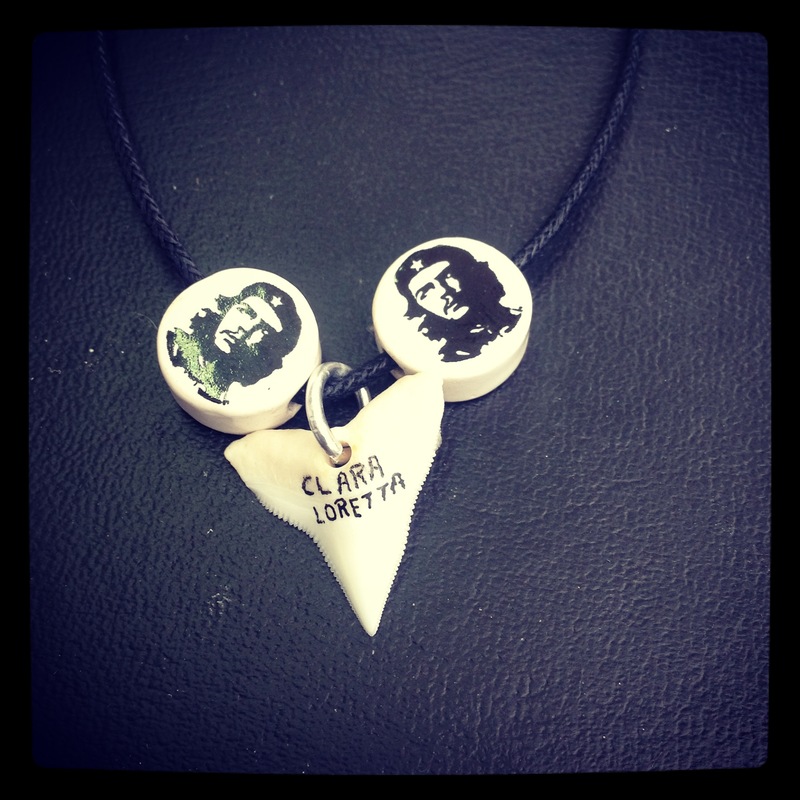 Yesterday, I got the new necklace you see above made here in Playa Del Carmen — their names on a shark’s tooth (i LOVE sharks) surrounded by Che Guevara. This necklace represents me in numerous ways.